It looks like we could have a pretty revealing clue on who the next MLB 2K cover boy will be. 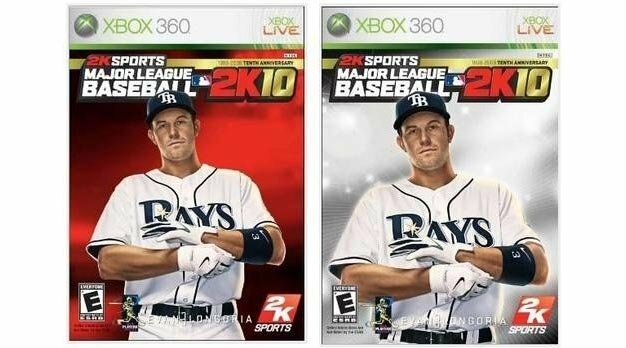 Thanks to Kotaku, who were tipped off by a marketing survey participant, we know there is a very strong possibility that Tampa Bay third baseman Evan Longoria will appear on MLB 2K10‘s box. Even a year removed from his team’s magical pennant run, Longoria remains one of the leauge’s most popular rising stars. He’s already got a pair of all-star appearances and a gold glove in just two major league seasons. If the Rays’ superstud played in New York or Chicago instead, he’d probably already have household name status. No doubt a major videogame cover appearance will help this small market slugger get there anyway.